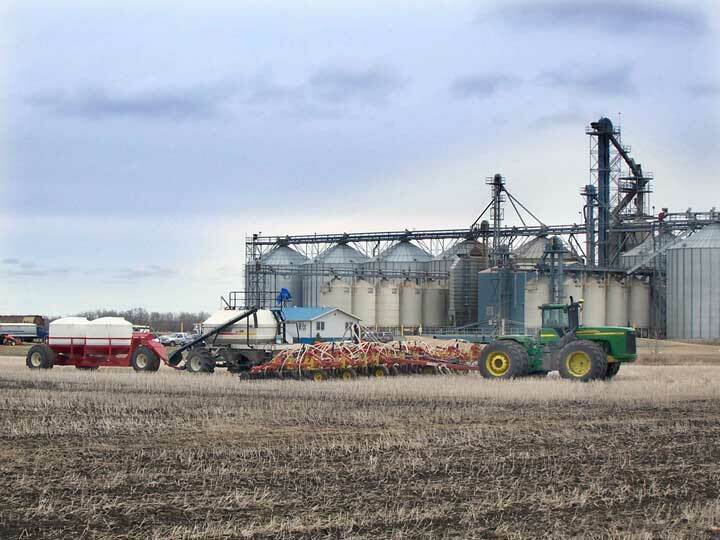 The combination of rain/snow and very low temperatures has shut down the seeding process in the Tisdale area. A significant portion of this year's crop has been put in the ground but it will still be a few days and nights before the process is complete. This morning I found these three outfits sitting calmly waiting for an improvement in conditions. 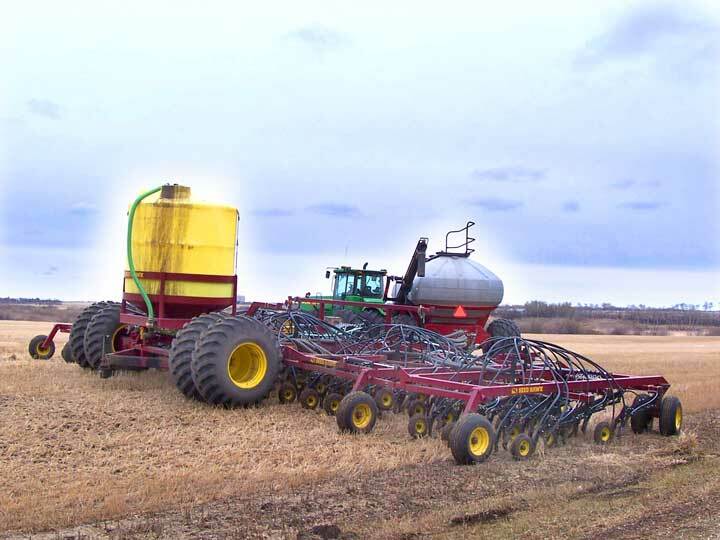 The seeder below is a Seed Hawk built at the little village, Langbank where I grew up. 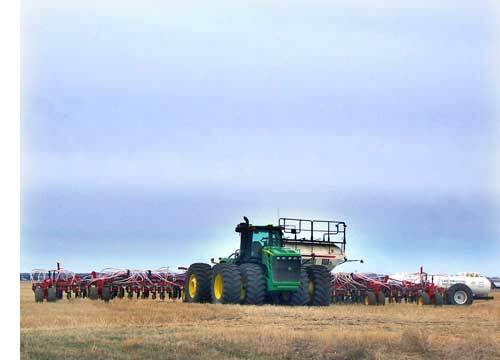 This is an interesting set up as you can see, the farmer is applying liquid fertilizer. The one on the right is using anhydrous and the one at the top of the page is likely granular.